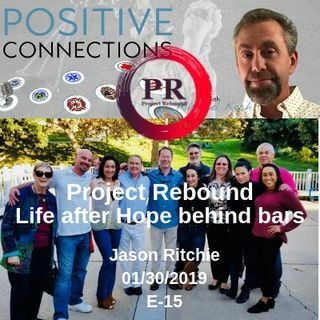 Jason Ritchie spent 17 years in prison and while serving his last few years found hope through a program named Project Rebound. Founded in 1967 by Professor John Irwin, Project Rebound matriculates people from the criminal justice system into state universities. Starting with San Francisco State University (SFSU), Project Rebound helped hundreds of former inmates achieve college degrees and a new life. In 2016, Project Rebound expanded onto seven other CSU campuses that include; Sacramento, ... See More Fullerton, Fresno, San Diego, San Bernardino, Pomona and Bakersfield. Jason is currently attending SDSU with others who are succeeding in life to become contributing members of our society and follow their passions that were once shadowed by confinement.